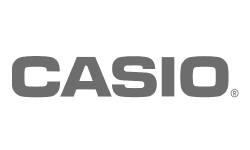 What truly sets the Casio CTX3000 apart from other portable keyboards is its heart: The powerful AiX Sound Source. 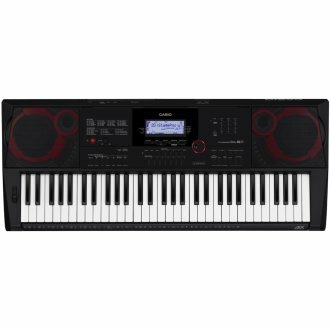 This technology makes the CTX3000 sound like a keyboard costing hundreds, if not thousands of dollars more. - Play a grand piano, and hear a meticulously-recorded 9-foot grand in a virtual concert hall. - Play an electric piano, and hear vintage phasers and amplifier models that take you back in time. - Play a flute, trumpet, or saxophone, and hear natural breath and vibrato. - Play a bass, and hear the player switch techniques based on how hard you press the keys. - Play a synth, and add an arpeggiator and drum part, and create an EDM hit. The list goes on. Use the Category button to explore the 800 Tones, and in each category you'll find an incredible variety of lifelike instruments that go far beyond your expectations. You can also edit the Tones, adjusting parameters like attack, release, filter cutoff and resonance. The CT-X3000 has 100 powerful DSP effects, including phasers, flangers, rotary speaker simulation, dynamics processing, and much more. These effects are preset for the included Tones, and can be extensively modified so you can dial in the perfect sound. The CT-X3000's convenient performance features keep you in control. Once you've set up the CT-X3000 with your choice of Tones, Rhythms and other settings, you can save a Registration for instant recall right when you need it. There are eight convenient Registration buttons, with 16 banks giving you a total of 128 Registrations that can be quickly selected during your performance. Four Phrase Pads give you instant access to musical gestures, percussion loops, sound effects, or whatever else you need in the moment. The CT-X3000's class-compliant USB-MIDI port connects to any Mac, PC, Android or iOS device with no drivers or installation needed. The included music rest is designed to support tablets. There is also a USB device port, which can be used to play audio files or save your custom Tones, Rhythms and Songs. The CTX3000 features a powerful 12-watt speaker system protected by tough metal grills. It's compact, lightweight and rugged, with a tough molded case. When not using the included AC adapter, the CT-X3000's optional battery power makes it perfect as a go-anywhere musical partner.